You've worked hard over the years to accumulate wealth, and you probably find it comforting to know that after your death the assets you leave behind will continue to be a source of support for your family, friends, and the causes that are important to you. But to ensure that your legacy reaches your heirs as you intend, you must make the proper arrangements now. There are four basic ways to leave a legacy: (1) by will, (2) by trust, (3) by beneficiary designation, and (4) by joint ownership arrangements. A will is the cornerstone of any estate plan. You should have a will no matter how much your estate is worth, and even if you've implemented other estate planning strategies. You can also leave property to your heirs using a trust. Trust property passes directly to the trust beneficiaries according to the trust terms. There are two basic types of trusts: (1) living or revocable, and (2) irrevocable. Property that is contractual in nature, such as life insurance, annuities, and retirement accounts, passes to heirs by beneficiary designation. Typically, all you have to do is fill out a form and sign it. Beneficiaries can be persons or entities, such as a charity or a trust, and you can name multiple beneficiaries to share the proceeds. You should name primary and contingent beneficiaries. Two (or more) persons can own property equally, and at the death of one, the other becomes the sole owner. This type of ownership is called joint tenancy with rights of survivorship (JTWRS). A JTWRS arrangement between spouses is known as tenancy by the entirety in certain states, and a handful of states have a form of joint ownership known as community property. Charitable giving can play an important role in many estate plans. Philanthropy cannot only give you great personal satisfaction, it can also give you a current income tax deduction, let you avoid capital gains tax, and reduce the amount of taxes your estate may owe when you die. There are many ways to give to charity. You can make gifts during your lifetime or at your death. You can make gifts outright or use a trust. You can name a charity as a beneficiary in your will, or designate a charity as a beneficiary of your retirement plan or life insurance policy. Or, if your gift is substantial, you can establish a private foundation, community foundation, or donor-advised fund. Neither Royal Alliance Advisors nor its representatives offer tax or legal advice. 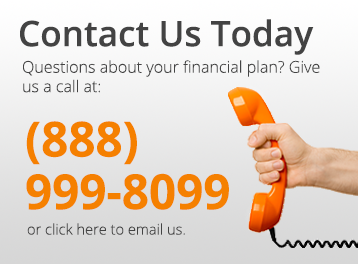 Please consult with your tax and legal advisors regarding your individual situation. Securities offered through Royal Alliance Associates (RAA), inc., member FINRA/SIPC. Advisory services offered through NWF Advisory Services not affiliated with Royal Alliance. RAA is separately owned and other entities and/or marketing names, products or services referenced here are independent of RAA.